Sometime back HTC mobile phones revealed that HTC is going to release its three Window mobile based handsets in the coming year. HTC mobiles planned to launch its three mobile phones HTC Trophy, HTC Photon and HTC Tera, but it is not mentioned that these davices will be grade high end device. But, WMPPower via XDA is now reporting that HTC is going to launch its first Windows Mobile 7 based handset in the Q2 next year and Microsoft has moved the realease of WM7 and chosen HTC strategy and to launch first Windows Mobile 7 based device in next year 2010. But according to the reliable sources Windows Mobile7 will not be able to launch its handset till the end of the next year. So this first HTC WinMo 7 mobile will take timeto come in the market. 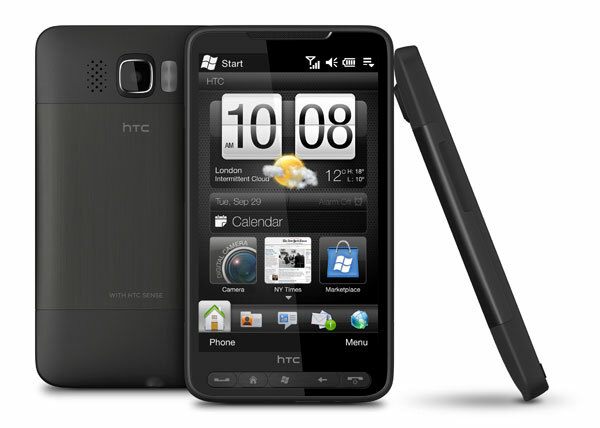 HTC HD2 is by far the beat Windows phone that is available in the market with 4.3 inches multitouch , 1 GHz snapdrop processor . And may be it launch next year.